Based on Wikipedia information Tennessee is a U.S. state located in the Southeastern United States. Tennessee is bordered by Kentucky and Virginia to the north, North Carolina to the east, Georgia, Alabama, and Mississippi to the south, and Arkansas and Missouri to the west. The Appalachian Mountains dominate the eastern part of the state, and the Mississippi River forms the state's western border. If you're fortunate enough to travel to the state of Tennessee, you'll surely want to make a stop-off at Great Smoky Mountain National Park. 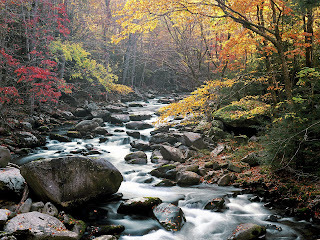 It's here where the famed Smoky Mountain, of lore, legend and multiple tunes, is located. There's no better way to enjoy a day at this beautiful national park than to take a hike through its amazing wild reaches. 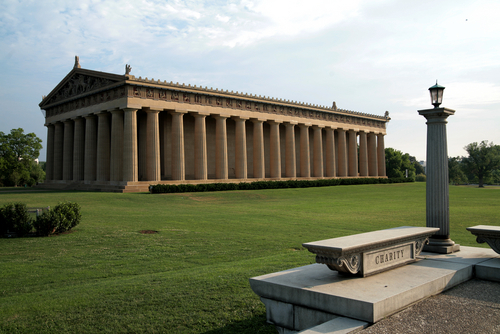 Visit a city located in the far southwestern reaches of Tennessee, renowned for its culture. 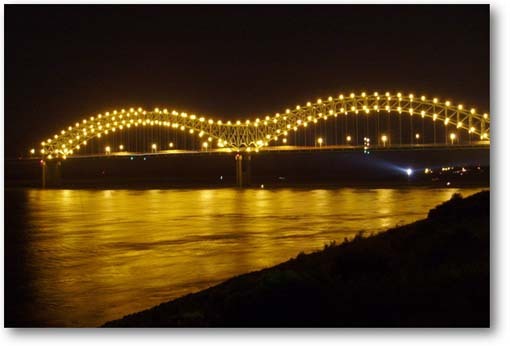 Memphis is the largest city in Tennessee. Memphis is home to a multitude of wonderful destinations which will tickle your vacationing fancy, ranging from museums and time-tested architecture to zoos and a downtown which rivals those of many major metropol. Memphis become the most popular tourist attractions in Tennessee. 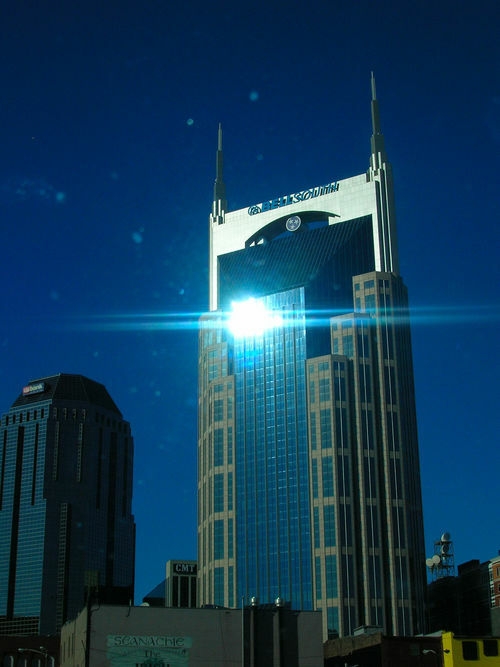 You can visit this famed religious structure on your visit to Tennessee. And while the Parthenon you experience on your Nashville travels may not be 3,000 years old, it's been built to encompass every facet of the original structure which graces the Acropolis in what was once the Greek city-state of Athens. City of Nashville has its own Broadway? 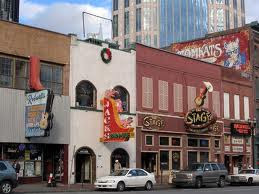 Nashville's Broadway is known to contain just as much culture and history. 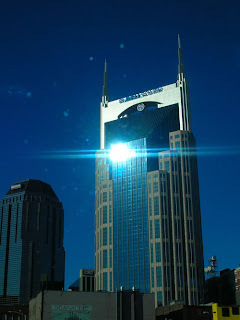 In here you can find legendary country music at your feet as you trek past barbeque restaurants, record shops and more. The Lost Sea may be a little trick in nomenclature - at only 4 1/2 acres, it can't really be geographically deemed as a true sea. But this aquatic wonder does happen to be the largest underground lake in America. Descend into the subterranean reaches of the Lost Sea, and you'll be able to take a fantastic boat ride down its gorgeous underground waters. It would be the memorable experience. 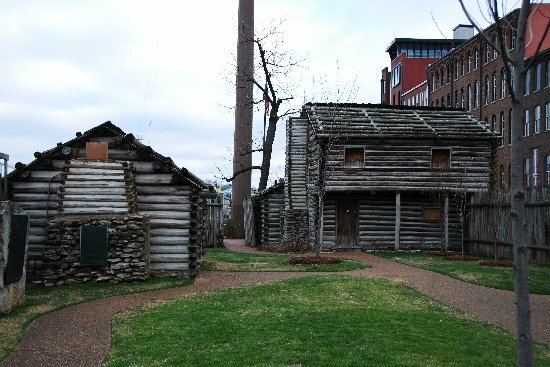 Fort Nashborough is a fascinating tourist attractions that you'll find on Cedar Bluffs, right alongside the quaint banks of the Cumberland River. Built in 1780, this fort was named to honor a legendary Revolutionary War general. In the years to follow America's independence, the fort withstood several attacks by Indian tribes, and it happens to be built upon the very location on which the city of Nashville was originally founded. 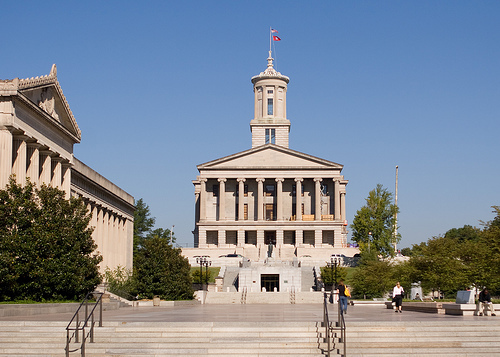 The beautiful Tennessee State Capitol Building is quaintly situated on a tall hill, squat in downtown Nashville. You'll find the Greek Ionic-style architecture which has housed many of Tennessee's most important governmental functions, and you'll also be witnessing an impressive piece of American history - the building has stood tall and true since the early year of 1845. 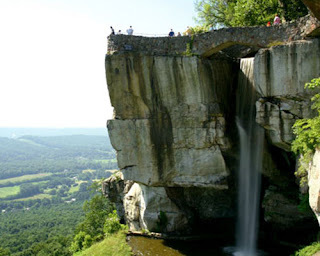 Find yourself within the deep reaches of Lookout Mountain in the vicinity of Chattanooga, and you just might be standing in front of an impressive aquatic feature which is as visually stunning as it is geologically fascinating. Ruby Falls plunges 145 feet from its head to its lowermost reaches. 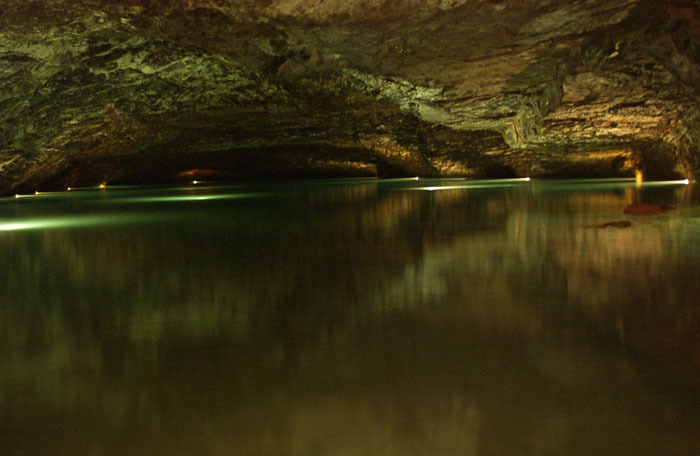 Located in a cave which was used by American Indians for ritual purposes, there's nothing at this fascinating Tennessee natural attraction which won't captivate you. 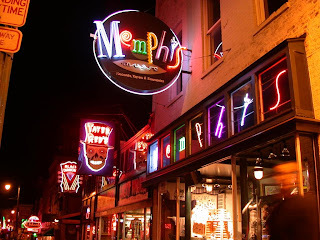 Experience one of the most fantastic musical destinations in the state of Tennessee as you meander down the concrete likes of Beale Street. 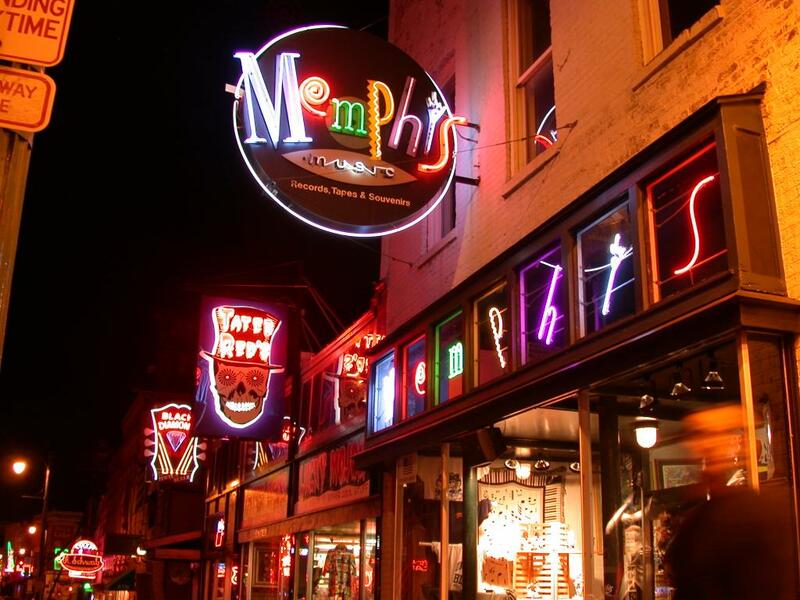 Legendary venues line the street, from the original Hard Rock Café to BB King's Blues Club, making this one of the prime places to take in Tennessee's vibrant nightlife. Beale Street as Home of the Blues and the Birthplace of Rock 'n Roll.